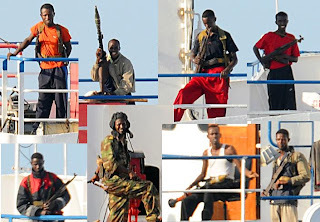 Somali pirates have established a stock exchange in Haradheere to raise capital to fund their piracy. It seems to be quite an enterprise. Financiers from near and far are investing. Shares are traded just like on Wall Street, and 10 of the 72 so-called “maritime companies” currently listed have conducted “successful” (presumably meaning profitable) hijackings. That's according to a fascinating article on the economics of Somali piracy. Piracy has been around for a long time and is probably one of the, er, oldest professions of a collective nature. And there is something admirable about their organisational abilities, even if in the end they are just crooks. As Peter Leeson explains about his book The Invisible Hook in a fascinating interview over at EconTalk, the pirates of old showed remarkable organisational skills in organising their affairs so that piracy was a positive sum game (for pirates that is) rather than deteriorating into pirate-on-pirate violence. And not all piracy involves speedboats and RPGs these days. There is clear evidence that 'piracy' of digital content is increasingly accepted by young people around the world, regardless of the consequences. And the recession appears to be making it worse. 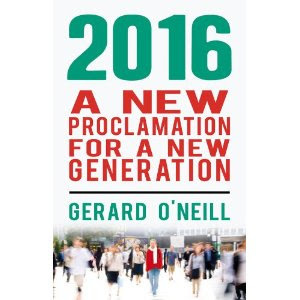 Here is Ireland we haven't had many pirates since the exploits of Granuaile. But their second cousins - smugglers - are still thriving, as witness the huge shipment of 120 million illegal cigarettes seized in October. One woman interviewed in the Reuters report was waiting at the stock exchange to collect her share of a ransom collected from a Spanish tuna fishing vessel. She had contributed a rocket-propelled grenade that she got in alimony from her divorce. “I have made $75,000 in only 38 days since I joined the ‘company’,” she said. Of course if they ever want to go legitimate and buy some cheap Irish properties with their ill-gotten gains then I'm sure NAMA could help them. The sooner the better for all concerned. There is something deeply disturbing about the moment when you receive munitions as a parting gift.